Himalayan Clearing Corporation Pvt. Ltd. (HCC) is the Clearing House of Mercantile Exchange Nepal Limited (MEX) established in 2009. 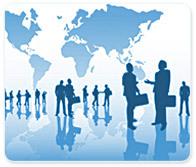 The company has gained considerable experience in electronic trading through its business activities for its clients. As a central counterparty, clearing acts as buyer to every seller and seller to every buyer to ensure the financial security of the marketplace and help clearing participants limit credit risk and achieve operational and financial efficiency. Our principal activities are to provide trading access on electronic commodity exchanges to professional, individual and institutional traders and Brokers, as well as the clearing and settlement of their trades. Our award winning service team provides services round the clock to our members all over Nepal. We believe in ethical business practices and long lasting relationships. Over 300 thousand of settled lots prove strong bond with customers since our first day of the business. We facilitate trading only on exchange-listed products that are marked daily to external closing prices disseminated by the exchanges. It is an organization that works with commodity exchanges to handle confirmation, delivery and settlement of a traded produce. An agency or separate corporation of a futures exchange is responsible for settling trading accounts, clearing trades, collecting and maintaining margin monies, regulating delivery and reporting trading data. Money management is risky business today, especially with the host of investment opportunities and fluctuating returns. There is no growth if you do not take risks but on the other hand risks trigger success. This is something of a tightrope walk and we at HCC try to partner you in it. We are reputed for our ethical business practices and our effort at building relationships that last long. A clear example of this is the fact that most of our customers have continually associated with us ever since we first served them. For our strong team, each customer is not a customer identification number. We recognize that each customer has their specific needs and we tailor-make investment solutions for each one. Wealth management is a larger umbrella, under which we operate, but wealth management implies very different things for every person and we recognize them. All our current services are implemented keeping this in mind.